New Delhi: The state government has sought additional LPG connections from oil companies for the Mukhyamantri Anila Bhagya Yojane. Chief Minister H.D. Kumaraswamy met Petroleum Minister Dharmendra Pradhan and urged him to direct oil companies to release additional connections to the state. 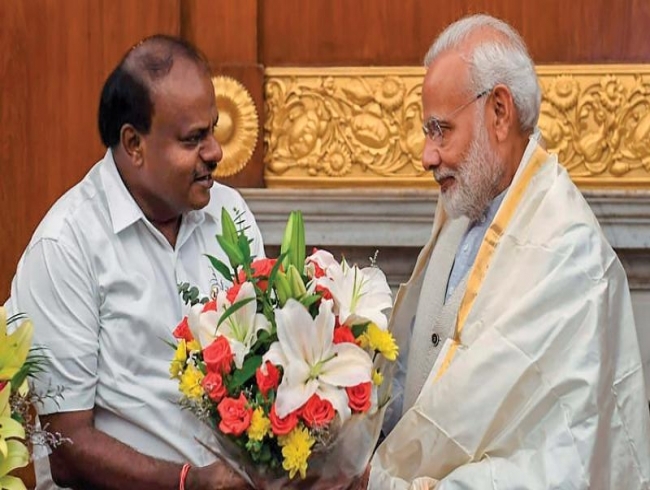 In his memorandum, Mr Kumaraswamy said the state’s scheme would provide LPG connections to the families, not covered under the Pradhan Mantri Ujjwala Yojana. The beneficiaries will be given stoves and two refills free of cost. The scheme was launched in February. Oil marketing companies had agreed to release one lakh connections in September and October. Mr Kumaraswamy requested the Minister to ensure early release of LPG connections to which Mr Pradhan replied that he would look into the request and take a decision.